Light Pipe Homogenizing Rods are optical components designed for any application that requires homogenized light. Light pipe utilize total internal reflection to homogenize non-uniform light sources, and it can be used for mixing and homogenization of one or more point sources, regardless of their individual spectral characteristics. Hexagonal configuration of the light pipe provides 35% less light is lost in completing the clear aperture than would a comparable square configuration. 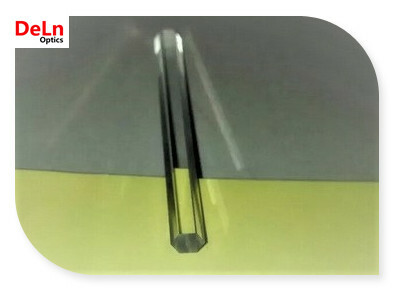 Fused Silica Light Pipe Homogenizing Rods are ideal for applications utilizing UV LED light sources.